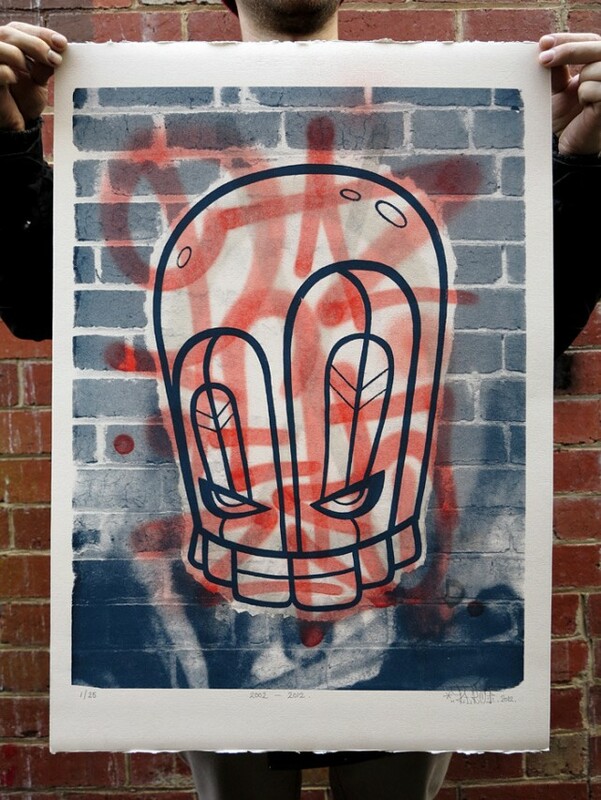 Invisiblemadevisible : UK Street Art & Culture: REKA '10 years Retrospective' print. As well as the upcoming show, Backwood Gallery have released a REKA ’10 years Retrospective’ print, the classic post up character from yesteryear screen printed over a hand finished aerosol tag.The print is available now and is a super limited edition of 25 so move fast! Each is a signed number, hand finished 2 colour screen print on 300g Fabriano paper. Each of the edition has unique characteristics and can be your for $250 AUS from the Backwoods Gallery website.